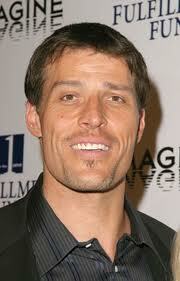 Tony Robbins is one of the founding fathers of life coaching. The way he talks is very inspirational, and makes complete sense. In this excerpt he is talking to two Internet Entrepreneurs, one who was believed to be the first person to make $1m in ONE DAY online. They talk about how they got the initial drive to get going. The first minute is worth the watch alone, but I think it will grab you. I have watched a lot of Tony Robbins, and I think this is one of his best videos. I have included the full 45min video below the shortened version for those who want to watch more. This entry was posted in Videos and tagged belief, drive, Frank Kern, inspiration, John Reese, motivation, tony robbins, video on April 30, 2013 by Lewis.